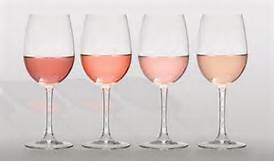 Rose wines, often called blush wines are wines normally made with red grapes but that have a much lighter color than red wine based upon the way the wine is created. It can be created a number of ways. There are three ways to make a rose; skin-contact, Saignée or blending. Traditionally, Roses are generally made with red wine grapes, crushing the grapes and leaving them to ferment for a few hours with the skin on. It is how long the juice has contact with the skin. The skin creates the color and tannins. Different grapes create different hues of wine. When a winemaker wishes to have more tannins and color to a red wine, some of the pink or rose juice from the beginning stages of winemaking can be removed, which is what we call, Saignée method. It means bleeding. 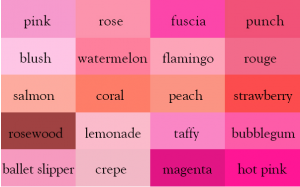 The pink juice that is removed can be fermented separately to produce rosé. This was not always used for the making of rose, but used to fill the ullage. It is the space in a barrel from evaporation, sometimes called topping wine. 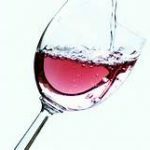 Rose wine may also be made by blending red and white wines, but this is relatively rare. For instance we have chosen this method. Our Rose is a blend of Chardonnay, Muscat with Syrah for color. Winemakers generally choose aromatic grapes for a rose. In France, it is forbidden by law to blend grapes for a rose, except to create a rose champagne. 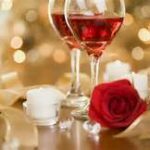 It is known to be that red wine that was produced was closer to a rose because they didn’t allow the skins to ferment in the juice as long as we do it today. Then in the 1940’s, two Portuguese wineries created a sweet rose wine. They were marketed to the Europeans and Americans. I remember going to dinner with my parents and always seeing these two brands on every restaurant’s tables. My dad worked for the company that distributed them. We had a pair of salt and pepper shakers that were made from the bottles of one of the brands. One was red and the other was green. I actually still have them in my china cabinet. In the 1970’s consumers preferred white wine over red, which created winemakers to produce white wine from red grapes using the saignée method. In the mid 1970’s a winemaker experienced an issue with yeast which died off before the sugars turned to alcohol, which is called stuck fermentation. When he tasted it a few weeks later, he liked it. It was a sweet pink wine, which we call White Zinfandel. Around the same time, another winemaker was making white cabernet, but refused to call it that, as a joke they came up with the name Cabernet blush, and ended up calling it a blush. 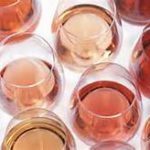 National Rosé Day was first officially celebrated in 2014 in Sweden when the national day calendar’s registrar approved the request for it to be officially celebrated. After that, it has been regularly observed annually, not just in Sweden but the whole world. It is celebrated the second Saturday of June. This year it will be June 10, 2017. Share your favorite Rose on Social Media using #NationalRoséDay. We now have produced 4 vintages of Rosa’s Choice Rose. 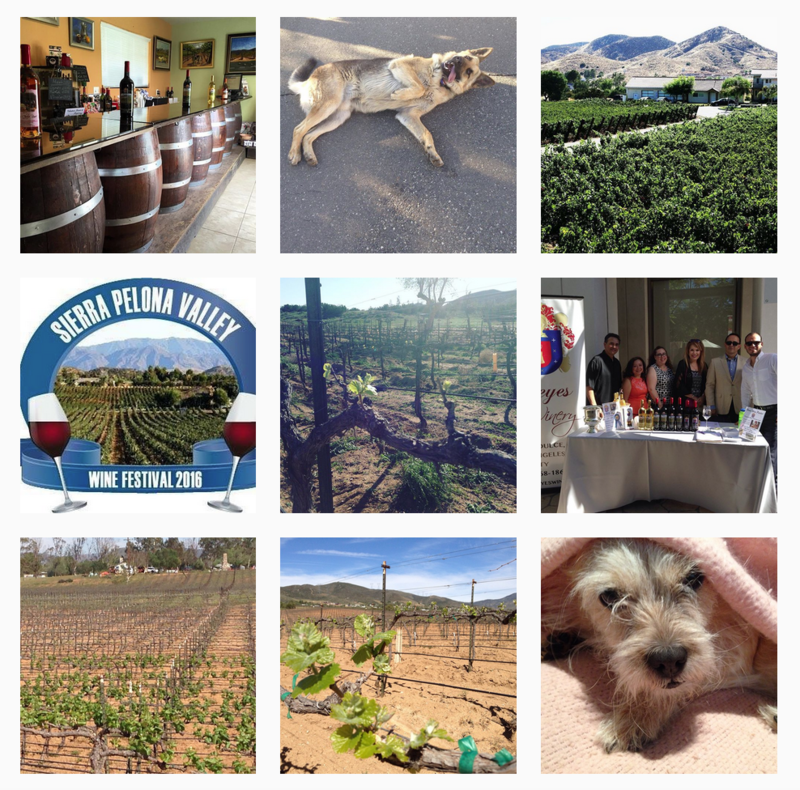 Our 2015 Rosa’s Choice Rose is a limited edition blend of Chardonnay, Muscat and Syrah. It has fantastic aromas of strawberry and spun honey. This salmon colored wine has a fruity finish that is characteristic of our vineyard. It is crisp and refreshing. Rose can be produced from very dry to very sweet. When pairing traditional to nontraditional roses, enjoy a dry rose with grilled sausage and peppers. Burgers, pizza and so many things can easily pair too. I prefer something spicy with a sweet rose. I have always loved Brussel sprouts. They can be boiled, baked, sautéed, etc. I have served this vegetable dish many times at events. I had the most compliments when I served it at our annual Valentine’s Day dinner in 2015. I served it with poached Salmon with blood orange Quinn Zin glaze and saffron rice. This year I am pairing our Rose with dessert, a pink velvet cake with mascarpone filling and strawberries drizzled with rose. Add the turkey bacon and onions and sauté until beginning to crisp, about 5 minutes. Add the Brussels sprouts to the same skillet and sauté until heated through and beginning to brown, about 5 minutes. Season with salt, pepper and red pepper flake to taste. 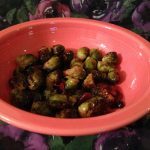 Add the Reyes 2015 Rosa’s Choice Rose and simmer until the wine reduces just enough to coat the Brussels sprouts, about 5 minutes. Add cranberries and pecans. Leave in skillet with lid closed for 5 minutes. ← Did you ever wonder about the history of a corkscrew?